Special Air Mission 27000, a Boeing VC-137C, 72-7000, on final approach for landing. 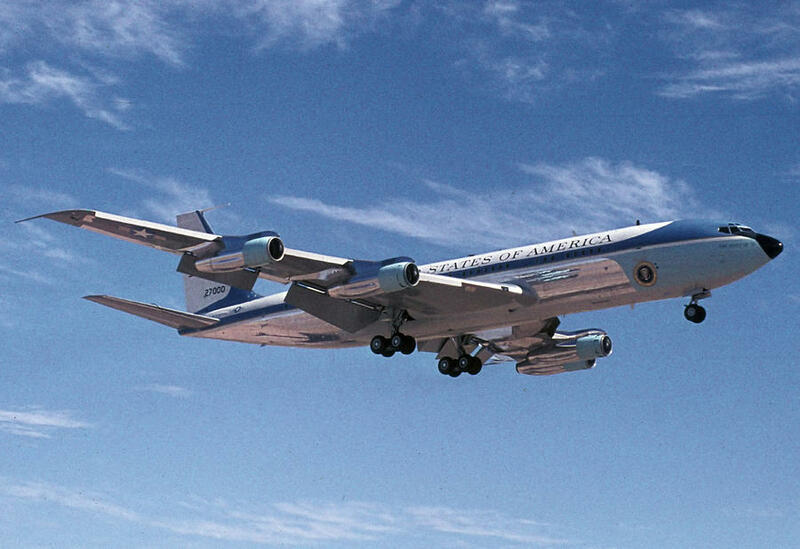 8 September 2001: Special Air Mission 27000, a Boeing VC-137C, serial number 72-7000, served as an airborne office and transport for seven United States presidents over 29 years. 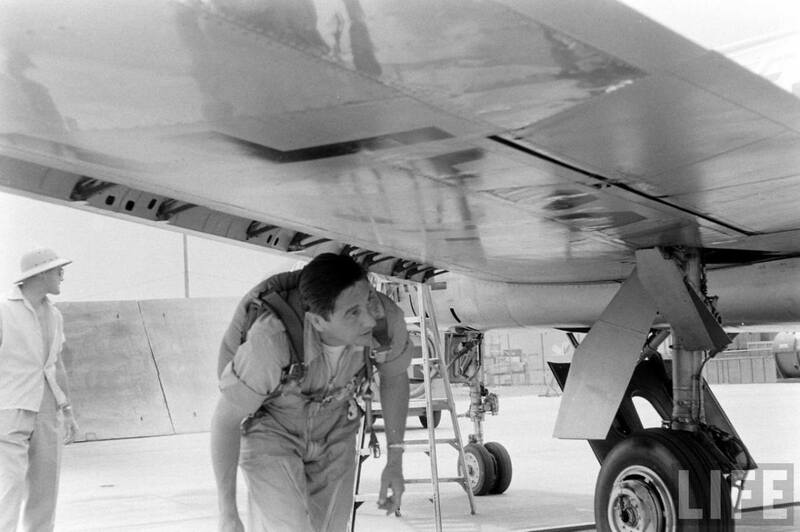 It made its last flight from Andrews Air Force Base, Maryland to San Bernardino International Airport, California, where technicians from Boeing disassembled the aircraft and transported it in sections to the Ronald Reagan Presidential Library and Museum at Simi Valley, California. It was reassembled and is on display inside the Air Force One Pavilion. Aboard for its final flight were Secretary of the Air Force James G. Roche, Vice Chief of Staff Lieutenant General Lance W. Lord, U.S. Air Force, and former First Lady of the United States, Nancy Reagan. 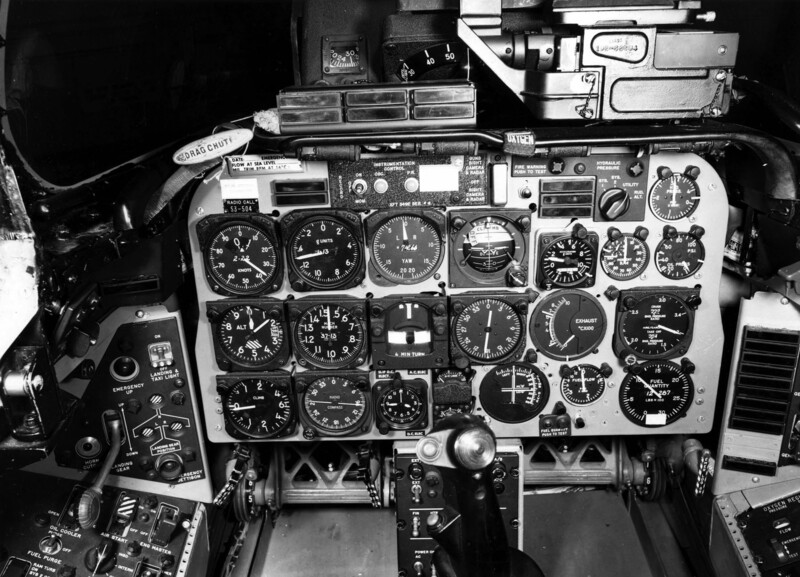 The VC-137C was a specially-built Model 707-353B four-engine jet airliner. Known by the call sign Air Force One when the President is aboard, it otherwise is referred to as Special Air Mission 27000. 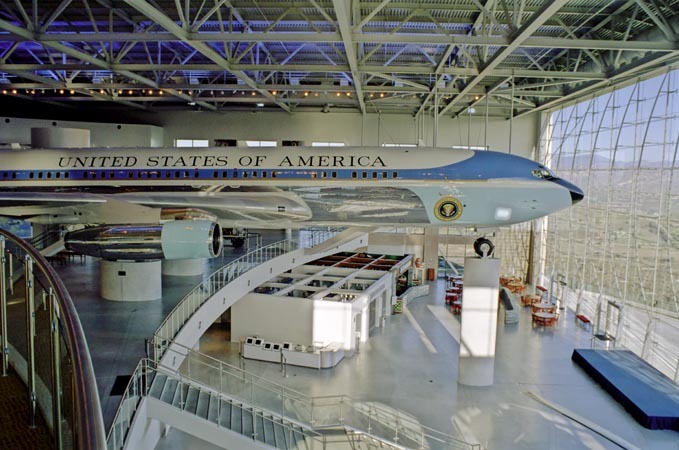 Its sister ship, 72-6000, is at the National Museum of the United States Air Force, where it recently was returned to display after renovation. 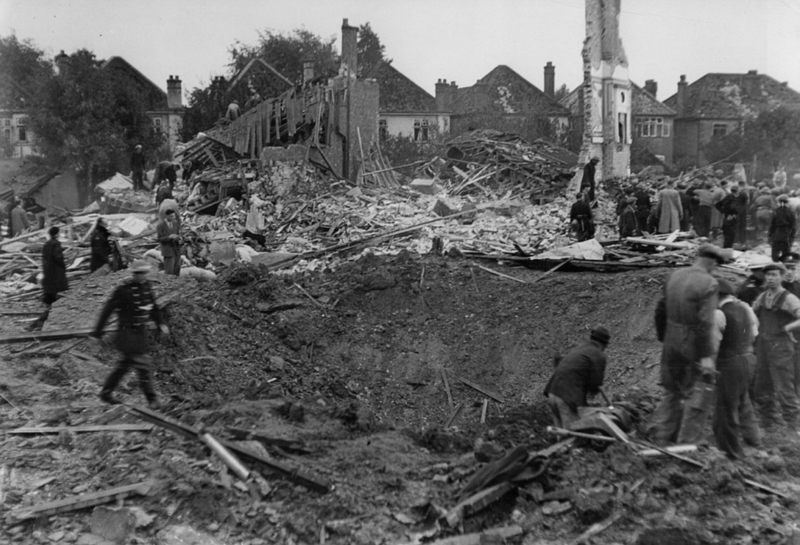 The first V-2 rocket to hit London impacted in Staveley Road at 18:40:52, 8 September 1944, killing 3 persons and injuring 17 others. 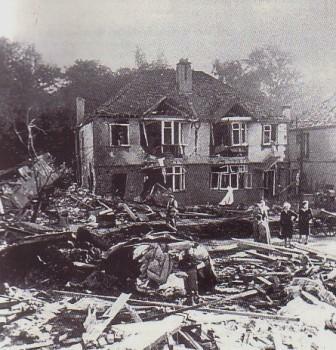 The warhead detonated and caused extensive damage to the residential area. A crater 20 feet (6.1 meters) deep was in the center of the road and the gas and water mains were destroyed. 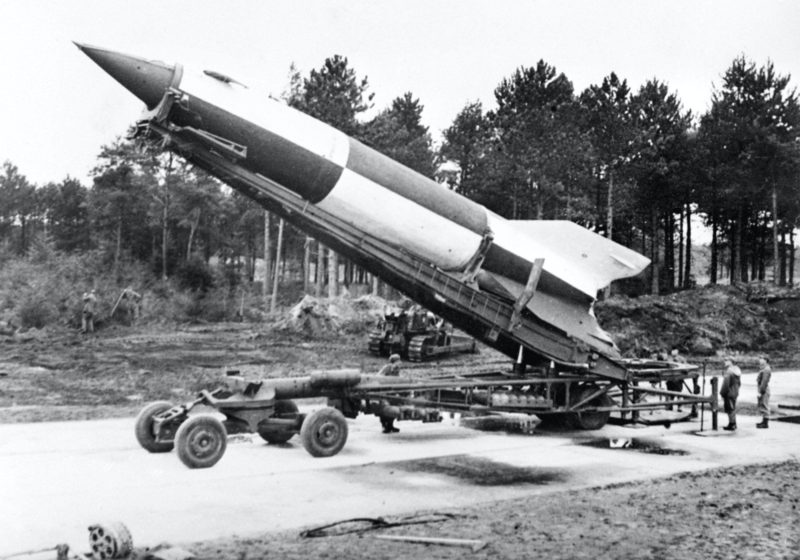 This V-2 rocket was fired by Gruppe Nord, Battery 2./485, located at the crossroads of Lijsterlaan and Schouwweg, in the suburb of Wassenar, The Hague, Netherlands. Three people were killed: a 67-year-old woman, a 3-year-old child and a soldier home on leave. 17 others were injured. 11 homes were demolished, 12 seriously damaged and unusable, and 556 suffered slight or minor damage. 14 families had to be relocated. 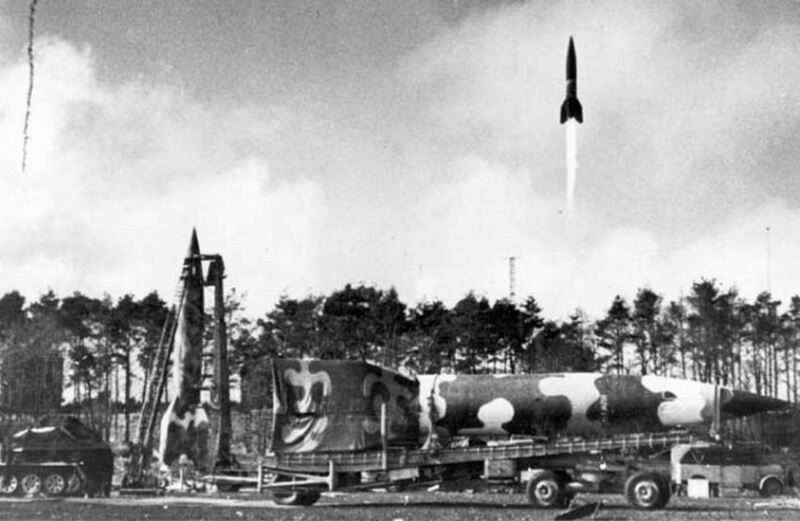 A V-2 rocket is being raised to a vertical position for firing. 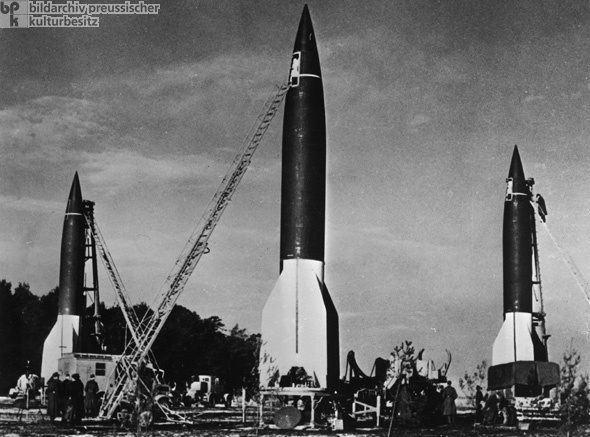 The V2, or Vergeltungswaffen 2 (also known as the A4, or Aggregat 4) was a ballistic missile with an empty weight of approximately 10,000 pounds (4,536 kilograms) and weighing 28,000 pounds (12,700 kilograms), fully loaded. It carried a 738 kilogram (1,627 pound) (sources vary) explosive warhead of amatol, a mixture of ammonium nitrate and TNT. 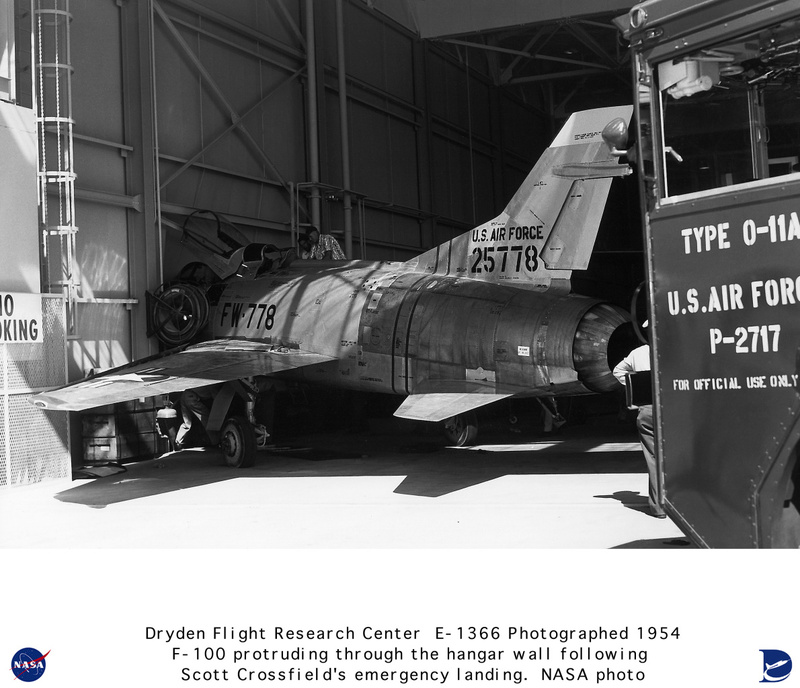 The propellant was a 75/25 mixture of of ethanol and water with liquid oxygen as an oxidizer. 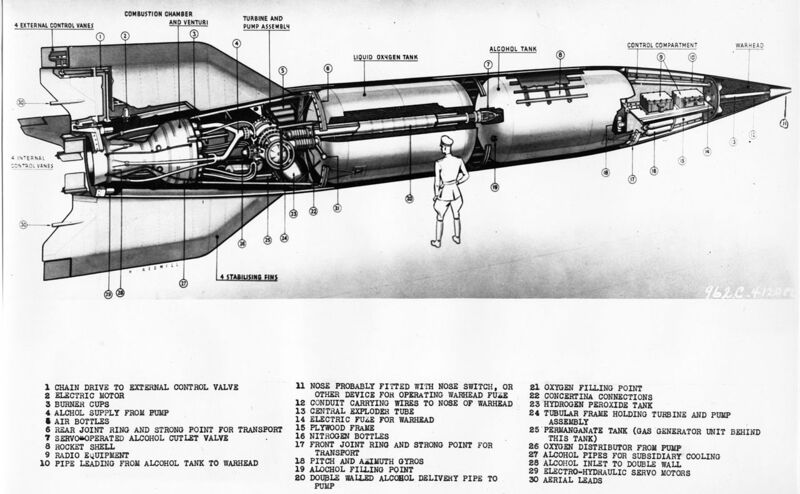 The complete rocket was 14.036 meters (46.050 feet) long, and had a maximum diameter of 1.651 meters (5.417 feet). 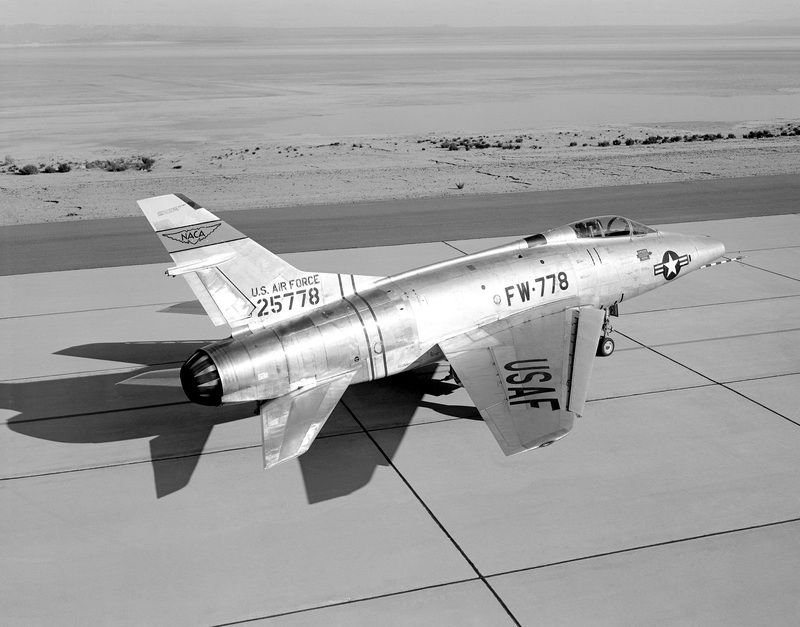 The rocket was stabilized by four large fins, 3.945 meters (12.943 feet) long, with a maximum span of 3.564 meters (11.693 feet). 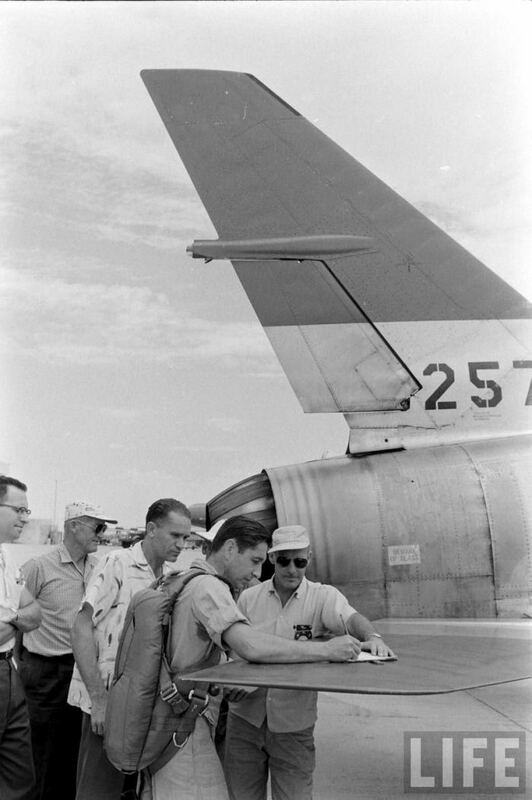 The leading edge of these fins was swept aft 60° to the “shoulder,” and then to 87° (30° and 3°, relative to the rocket’s centerline). 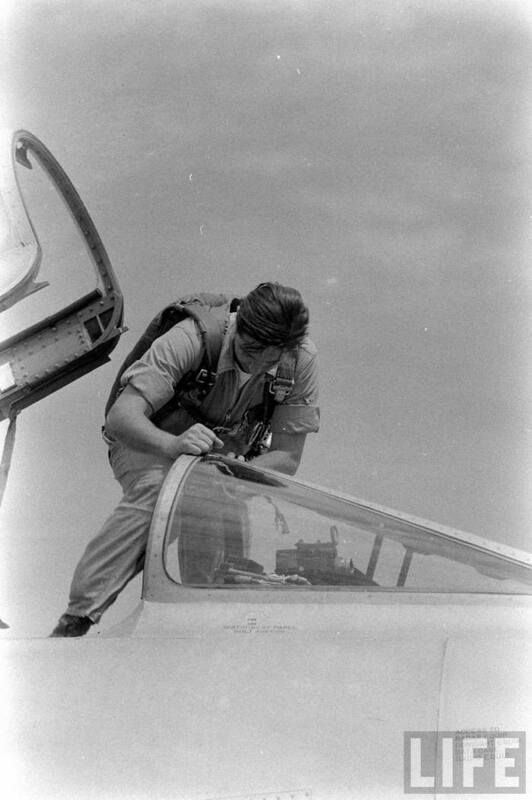 A small guide vane was at the outer tip of each fin, and other vanes were placed in the engine’s exhaust plume. 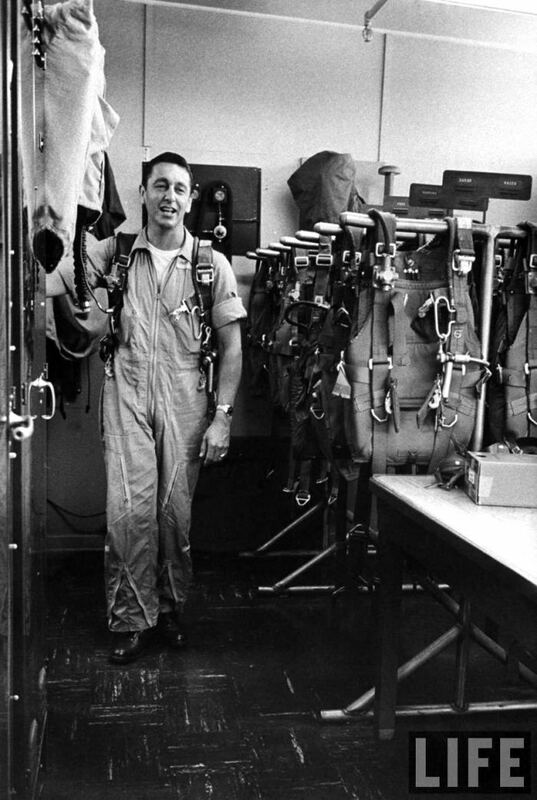 When launched, the rocket engine burned for 65 seconds, accelerating the rocket to 3,580 miles per hour (5,760 kilometers per hour) on a ballistic trajectory. 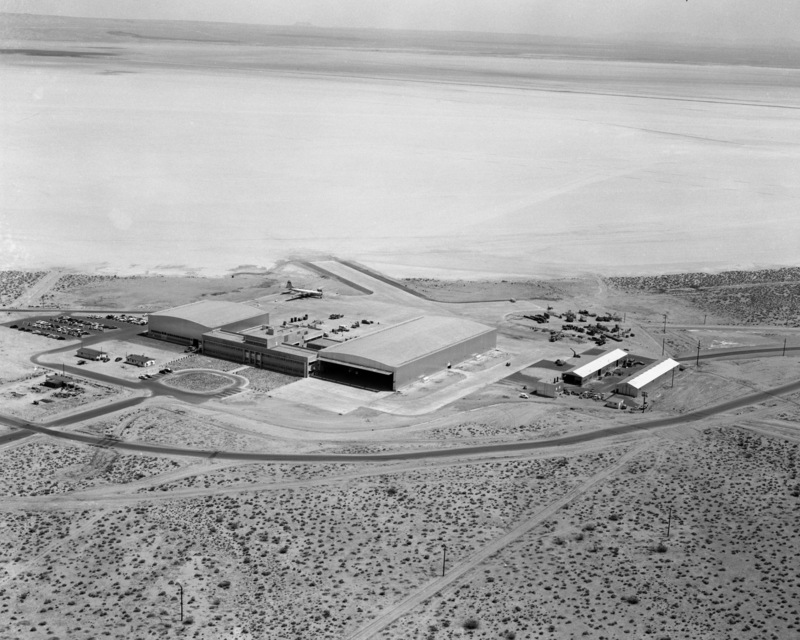 The maximum range of the rocket was 200 miles (320 kilometers) with a peak altitude between 88 and 128 miles, depending on the desired range. 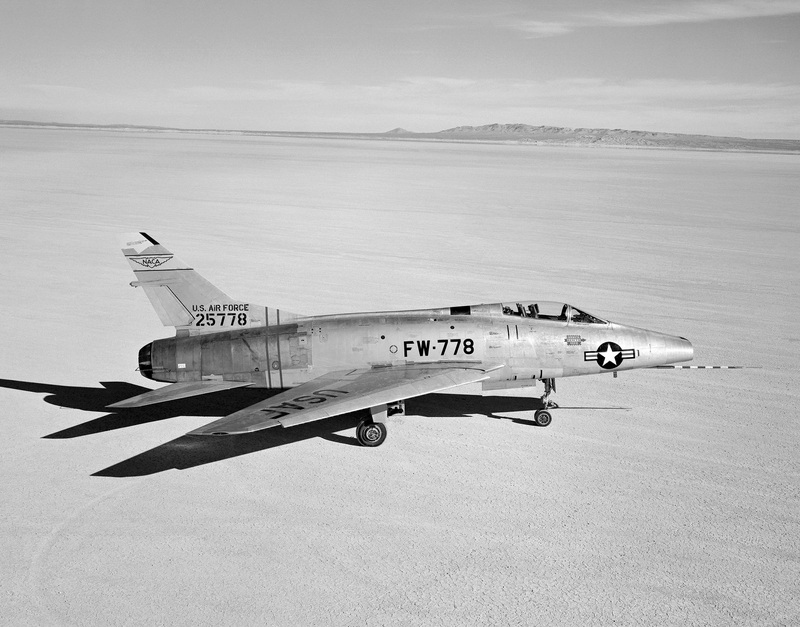 On impact, the rocket was falling at 1,790 miles per hour (2,880 kilometers per hour), about Mach 2.35, so its approach would have been completely silent in the target area. 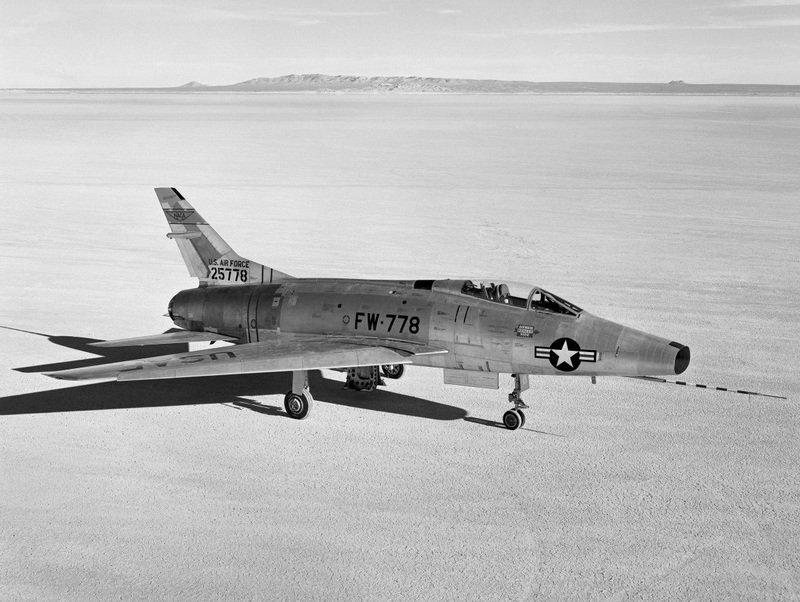 The V-2 could only hit a general area and was not militarily effective. Germany used it against England, France, The Netherlands and Belgium as a terror weapon. More than 3,200 V-2 rockets were launched against these countries.